The Australian Qualifications Framework is a national system established by the Australian Government linking courses and qualifications. The Framework provides guidelines for learning outcomes, pathways, assessment and accreditation of qualifications, allowing students to move easily between levels of study and institutions, receiving credit for previous study. 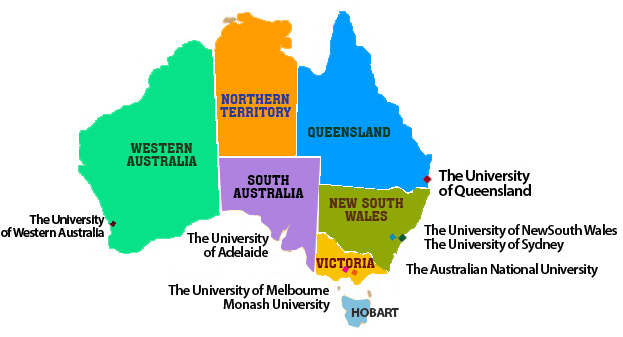 There are 38 public universities and 3 private universities in Australia including the GROUP OF EIGHT UNIVERSITIES. The Group of Eight (Go8) is a coalition of leading Australian universities, intensive in research and comprehensive in general and professional education. Choosing the university that best meets your needs can be exciting but can also be challenging. Much lower student-staff ratios than other Australian universities. Research intensive of all Australian universities, undertaking 70% of all Australian university research train, attract and retain the best researchers from Australia and around the world, offering an intellectually stimulating, diverse and supportive academic environment for their students have a focus on the teaching-research nexus which leads to advanced curricula and research-based learning and in turn produces distinctive graduates enrol over half of all higher degree by research students. Demonstrate mutual recognition of high standards of research and teaching within the group through the Go8 Credit Transfer Agreement. (1) Language : Problem for those who don't speak good English. Studying in Australia does not mean you will learn English or other languages magically but it can certainly help you to understand the language better, but if you do not talk, you will not improve. That is why you need to pay attention all the time because in Australia good english speaking skills can take you ahead quicker than your non english speaking mates. (2) Not having your family and friends around could be a problem for some. Our society is more and more connected and thanks to Skype, WhatsApp and Social Media you can stay in touch a bit easier with your family and friends. It still doesn't mean that it is any easier to study abroad in a foreign country half way round the world. Sometimes it can be hard, because everything is new and you don�t have your familiar safety net of friends and family. Especially in the beginning you might feel sad and homesick. This is completely normal, but there are many tips on internet against homesickness which you can use. (3) Cultural shock/differences can be a problem for some. We all know that African people are different from Asians, Chinese are different from Indians and Indians are different from Germans and Germans differ from Australians. So some differences are obvious while others are more subtle. Moreover the food is different mostly, you might have difficulties to find your old comfort home style food. Food is an important part of a country's culture so if the culture is different, the food will be too. (4) It can be expensive for some depending on their specific needs. The cost of studying in Australia depends on your course, the university and the city you choose. Keep in mind that you are only allowed to work limited number of hours, so you need to have enough money before your start your semester/year or have someone from home supporting you. 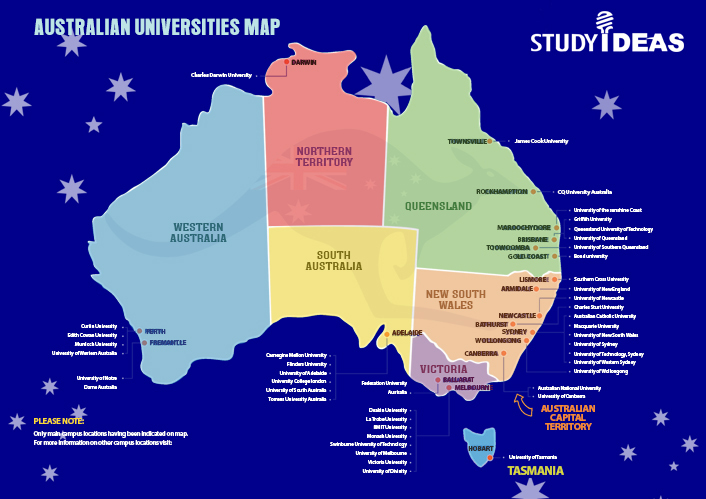 (1) Australia has Eight of the top 100 universities in the world. Australia has five of the 30 best cities in the world for students based on student mix, affordability, quality of life, and employer activity-all important elements for students when choosing the best study destination. Each year Australian Government provides approx $200 million dollars in scholarships for international students. (3) At least one Australian university is in the top 50 worldwide across the study areas of Natural Sciences & Mathematics, Life & Agricultural Sciences, Clinical Medicine & Pharmacy. (4) Overall cost of studying in Australia is far less than in UK or USA. International students get value for money in terms of currency conversion factor as its cheaper compared to the UK or USA. (5) Job opportunities in Australia are better than many other developed countries. As UK focuses more for doctors and the US focuses more on IT professionals but in Australia for the international students there are facilities and opportunities present in multiple disciplines i.e. agriculture, aeronautics, accounts and actuaries and of course including the IT and Medical streams as well. (6) Australian qualifications are recognised by employers and leading educational institutions in many countries around the world. Moreover, most courses and training undertaken by international students in Australia are covered by Australian Qualification Framework (AQF). It is a system of learning which is authorised by the Australian government. (7) Australia is a safe, multicultural, friendly and harmonious society. Australia has a low crime rate and strict gun control laws providing a safe place to live. People from around 150 countries have migrated to Australia, making Australia one of the most culturally diverse countries in the world. Multicultural nature of Australian society means international students are readily accepted by other students, and teachers are experienced in teaching classes to students from many countries.